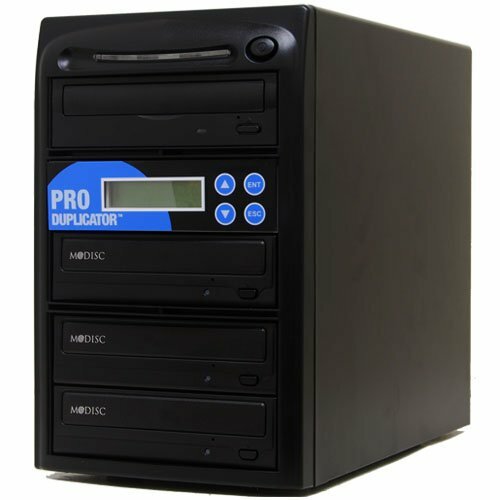 The SATA M-Disc Support CD DVD Duplicator offers a professional and reliable solution for multiple duplication of CD and DVD. M-Disc technology etches your data on a disc permanently (M-Disc media is required). The M-Disc stores your data for over a 1000+ years unlike other conventional data storage like hard drive that can only last for up to 7 years, regular disc that last up to 5 years, thumb drive that last up to 8 years and tape drive that last up to 15 years. The M-Disc is the only permanent data backup solution. This M-Disc support machine is good for archiving data for a long period of time. It is simple to operate with user-friendly interface and does not require a computer or software to use. It is equipped with the latest optical disc burning technology and recent SATA connection innovations in duplication hardware. Burning speed is adjustable and can burn a half full DVD in less than 4 minutes and a full DVD in less than 7 minutes. It is ideal for data backup, music, video duplications and much more!